Fans have long awaited the sequel to SCORPION, the international bestselling novel by Andrew Kaplan. First published in 1985, the consummate spy thriller has been a reader favorite, but a standalone. Now, finally, the author who is a former war correspondent and military intelligence agent for both the U.S. Army and the Israel Defense Force (and who was himself wooed several times by the CIA) has created a plot worthy of his ex-CIA hero. In an Egyptian cafe in broad daylight, a killer known simply as the “Palestinian” commits a bold assassination. It is the opening move in a chilling game of terror that has caught the international intelligence community completely off-guard and will lead the former CIA operative code-named Scorpion on a desperate manhunt from the Middle East to the dangerous underworld of the capitals of Europe. 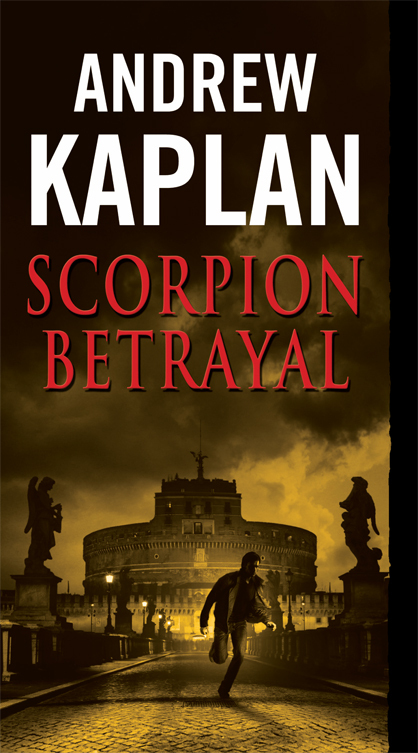 When authors such as Harlan Coben say SCORPION BETRAYAL is “One of the smartest, swiftest and most compelling spy novels I’ve read in years,” and David Morrell says of the author, “Andrew Kaplan represents a gold standard for thriller writing,” well, you know you have to rush to the bookstore to add it to your reading stack. THE BIG THRILL sat down and talked to the author to find out more about the process of taking a classic novel and turning it into something brand new and updated for the modern era. It’s been over twenty years since the first SCORPION novel hit the shelf. What made you decide to dive back into his world? Did something particular spark a new idea that was just perfect for the novel, or did it grow quietly in your mind over the years? For about 15 seconds, twenty years ago, I was about as hot as a writer could get, with a couple of international best-sellers, an offer to write a James Bond movie, another offer to take over the Ludlum franchise, etc. Then my career hit a speed bump (read: brick wall). As for re-entering Scorpion’s world, unlike many of my fellow mystery and thriller writers, I had resisted the idea of doing a series. I was afraid of painting (writing?) myself into a creative corner. Flash forward to two years ago, when I decided to get back to writing. I was starting completely from scratch: no agent, no publisher, no fan base and as far as publishing went, a new world that everyone’s still trying to figure out. In fact, being published before made it harder, not easier. Enter my son, who despite his tender age (he’s 28) is in the movie biz. “If you want to reach an audience,” he said, “you need to think about a series. Do Scorpion.” I hadn’t wanted to do a series, but there it was. Was it difficult to create a plot that was worthy of the character? SCORPION BETRAYAL began with my frustration at the way terrorists were portrayed in books and films. So often they were one- or two-dimensional characters, typically jihadis. Someone tells them to blow themselves up for Allah and it’s “72 virgins, here I come!” Except no human being is like that. Not really. I had lived in the Middle East for four years and knew better. I wanted to explore what would make someone do that, be that. This led me to the story of two children and the idea of that part of the story as seen through a child’s eyes. Not the way you write a spy thriller, except now I had real people. I would pit my protagonist, the ex-CIA agent code-named Scorpion, against the terrorist: two adversaries, both extremely intelligent and therefore truly dangerous, both ruthless and relentless, one on one, the smartest terrorist and the best agent in the world in a chase across Europe with the clock ticking seemed to me to have the makings of an exceptional thriller. Does time elapse in the new book from the first one, or will the reader go from one to the other without much time passing in the character’s world? SCORPION BETRAYAL is set in the present. My protagonist, Scorpion, still has the same strange Arabian Huck Finn-like childhood, growing up among Bedouin tribesmen, and background (Tehran University, Harvard, Delta Force, ex-CIA now freelance agent) and he hasn’t aged. It’s as if he just stepped from the previous book to this book and I’m simply pretending the world hasn’t changed, though of course it has, enormously. But in a more profound way, this is a completely new Scorpion series. The character is different, more textured, darker, more layered and his world is more complex and real. The truth is, I think I’m a better writer. Happily, the reviewers seem to think so too. Does the book touch on the “Arab Spring” issue that recently happened in Egypt, or does the book stay outside the present conflicts going on in that part of the world? The book was written before the “Arab Spring” and fittingly enough, begins with an assassination in a Cairo café. Also there are also scenes set in Beirut and Damascus. Although there are undercurrents of what is happening that the reader will get—when I was in Cairo researching the book, Mubarak was ill and we could sense what was coming. I told my wife, “If something happens with Mubarak, this place could blow”—the core of the story isn’t really about that. That said, readers will get a behind the curtain peek at the intelligence world: the Egyptian Mabahith, Hezbollah, the Muslim Brotherhood, the Syrian GSD, and the Western agencies, the CIA, the Dutch AIVD, the Italian AISE, the Russian FSB, etc. and how they all intersect and compete in this arena, unseen by the public. What was the most interesting thing that you learned during your research for this book, whether or not it made it onto the page? I learned a lot of fun things that the reader will too, like how to break into a safe without anyone knowing you were there. Or how the CIA uses certain chat rooms for agents to communicate. Or how to turn a fanatic believer into a double-agent in just 48 hours. Some things that were simply too dangerous, I only tell the reader part and held some key information back, like how to make a powerful explosive with three common and completely legal household items. Are there new characters in Scorpion’s life in this book that the reader will fall in love with, or even quickly learn to hate? Everyone seems to love the young Arab-German woman, Najla, with whom Scorpion almost falls in love, but can’t afford to because he doesn’t know which side she’s on. Some continuing characters are Dave Rabinowich, the brilliant and cynical CIA analyst who graduated from MIT at eighteen and from the original SCORPION, Bob Harris, the ultimate CIA suit with Brad Pitt looks (“Yeah, with the social instincts of Hannibal Lector,” a male colleague comments). Readers will decide whether to like or hate Harris, probably both. Plus fun characters, like Moretti, the razor-sharp AISE agent, and Khmelnitsky, the Russian mafia gangster who quotes Chekhov. But for me, the most fascinating character is Scorpion’s antagonist, “the Palestinian.” The two have so much in common and yet one will have to kill the other. Time and again while writing the book, I thought of the conversation in Indiana Jones when the villain, Belloq, says to Indy, “You and I are very much alike. I am but a shadowy reflection of you.” To which Indy responds, “Now you’re getting nasty.” And Belloq says: “You know it too. How nice.” One of the secrets to a great thriller is to have a great villain. Will this book be the first of many more for Scorpion’s character? Yes, I have a multi-book deal with HarperCollins. The next book in the series is SCORPION WINTER which is due out on July 31, with the best cover I’ve ever seen on any book ever. I love it! And I’m currently working on the Scorpion book after that, which they tentatively plan to publish (depending on how soon I can get it to them) this time next year. So it’s a pretty aggressive schedule. Readers can find me (and contact me) on my website, LinkedIn, and Facebook. Will you be doing any touring for the release of this book? For example, will you be at ThrillerFest or any other cons? I’ll be at ThrillerFest in July and look forward to meeting everyone there. I’ll also be at Bouchercon in October and Men of Mystery in November. Plus, I’ll be doing a few TV and radio interviews, a guest blog for Barnes & Noble, and a couple of book signings in Southern California. Is there anything else you’d love for the reader to know about the book that might not have made it into your author introduction? There are good writers whose work is authentic and others, also good, whose work isn’t. One general comment that nearly everyone has about my work, including former CIA agents, is how authentic and real it is. Part of it is based on research, but also on my past experience as a journalist, intelligence analyst and consultant in some of the hot spots of the world. I work hard to make it real because I think it makes a difference in the read. SCORPION BETRAYAL and the Scorpion series is a career reboot for me. I’m thrilled at the response it’s getting, particularly from writers I admire.. Thanks so much for giving us some insight into Scorpion’s world. It looks like a great novel that your devoted readers will adore. You’re welcome and I hope those readers not familiar with my work will also check it out. Andrew Kaplan is a former journalist and war correspondent covering events around the world. 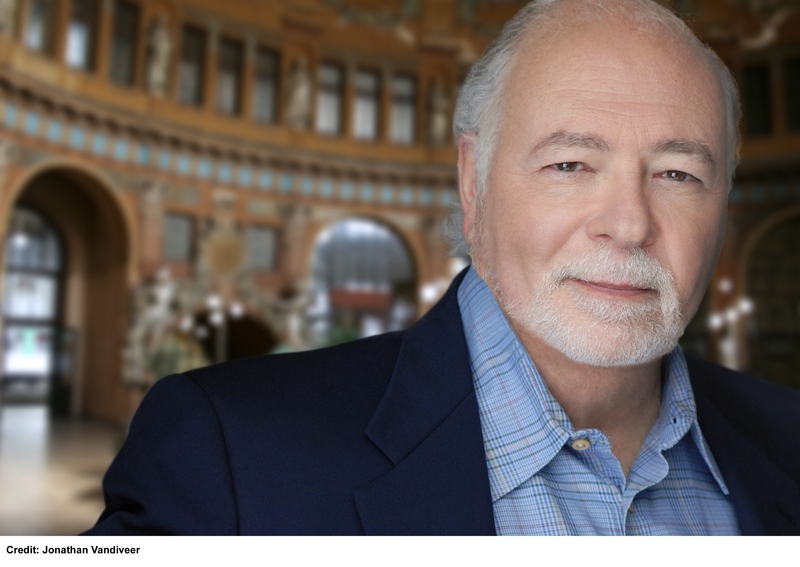 He served in both the U.S. Army and in the Israeli Army during the Six Day War and later provided military intelligence analysis for the Israel Defense Force. He has consulted with groups that advise a number of government agencies, and as president of a technical communications company, performed contract work for major U.S. corporations and government agencies. 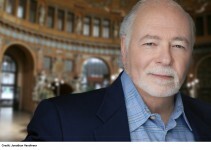 He is the author of four internationally best-selling novels: HOUR OF THE ASSASSINS, SCORPION, DRAGONFIRE, and WAR OF THE RAVEN. He lives with his family in Southern California and is currently at work on the next Scorpion novel. To learn more about Andrew, please visit his website. USA Today bestselling urban fantasy author Cathy Clamp has written more than 20 paranormal thrillers for Tor Books, along with multiple short stories and articles for magazines and anthologies. Her latest release, FORBIDDEN, begins a new spin-off series from the Tales of the Sazi shapeshifter reality. The second book, ILLICIT, releases in 2016.